Where is my attached reference material??? Mounting scientific research is confirming that eating a ketogenic diet could represent one of the greatest nutritional breakthroughs of our time - and that it might be the healthiest and most effective weight loss strategy ever. 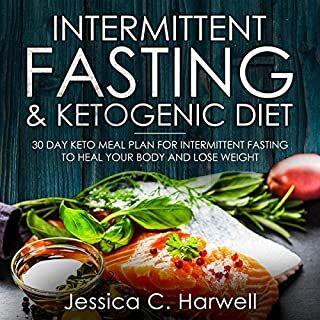 Going "keto" by eating high fat, low-to-moderate protein, and low-carb foods enables you to break free from the disastrous effects of carbohydrate dependency by resetting your metabolism and promoting metabolic flexibility - where your body learns to burns fat instead of sugar for energy, even when you go off plan. 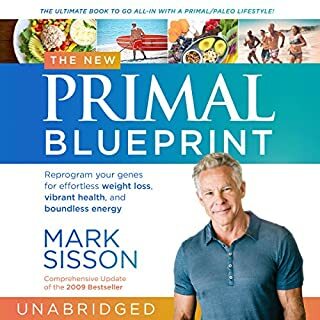 Unlike many other ketogenic programs that require challenging restrictions and deprivation or offer misinformation, Mark Sisson, best-selling author of The Primal Blueprint and publisher of the number-one paleo blog MarksDailyApple.com, presents a unique two-step, scientifically validated approach for going keto the right way. 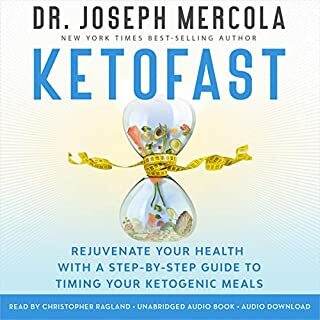 He first reveals the real secret to rapid and sustained weight loss, which is in becoming "fat-adapted" before entering full nutritional ketosis. This process allows your body to learn to burn fat more efficiently, resulting in increased and sustained weight loss over the long term. It takes as little as 21 days to reprogram your metabolism to burn fat for fuel, by ditching processed grains, sugars, and refined vegetable oils in favor of nutrient-dense, high fat, primal/paleo foods - and you'll see immediate results. 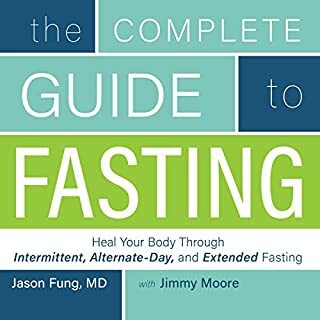 Next, you'll fine-tune with intermittent fasting and then foray into full ketogenic eating for a further weight loss boost and improved health. With The Keto Reset Diet, you can eat to total satisfaction by enjoying rich, high-satiety foods and even weather occasional slip-ups. You'll use keto as a lifelong tool to stay trim, healthy, energetic, and free from the disastrous health conditions caused by the typical American diet. 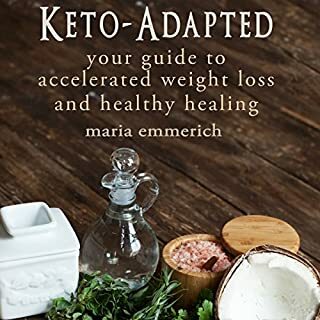 With step-by-step guidance, daily meal plans, and a recipe section with over 100 delicious keto-friendly recipes, this is the definitive guide to help the keto-beginner or the experienced health enthusiast understand the what, why, and how to succeed with ketogenic eating. A very technical book, a lot of content went over my head. Regardless, I'm keen to try the recipes. The information in this book is great. One problem is not all of the stuff the narrator talks about is actually included in the download as he says it should be. All the recipes are there, but none of the tables he mentions. Fix this and the book is all 5 stars. 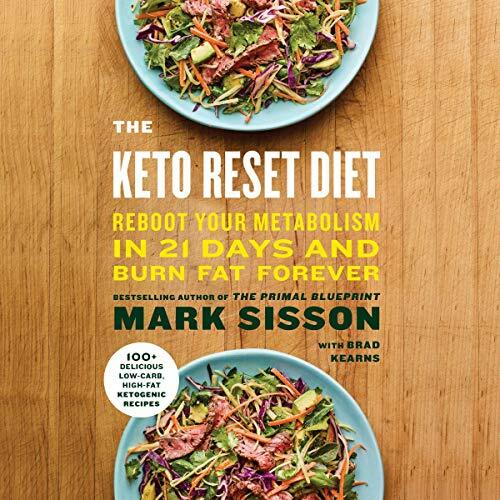 I recently listened to The Keto Reset Diet: Reboot your Metabolism in 21 Days and Burn Fat Forever by Mark Sisson. Wow! Enjoyed it so much I had to share here. After listening to the book I kickstarted the program and followed it for just short of three weeks. During the almost three weeks I lost 4 kilograms, and more importantly my skin cleared up considerably. This should be no surprise given the cause of my skin problem (psoriasis) is inflammation and keto claims to reduce inflammation. So about the book! Mark Sisson has been following a primal diet for many years and has written at length about this in other books. He also has a very informative blog, Mark’s Daily Apple. Mark’s combines his own experience and research with peer-reviewed medical research and breaks it down into an easy-to-understand formula for the rest of us. In this book, Mark provides a 21 day meal plan and recipes. These can be used in a prescriptive way, or just as a basis for your own keto journey. I utilised some of the recipes, and found them useful in order to adapt my own recipes to be keto-friendly. There is something like 100 recipes in the book. After having a week off the plan, I will be resuming in a couple of days. I found it reasonably easy to commit to, and look forward to enjoying the long-term health benefits on eating in a way to reduce inflammation in my body. This book contains tons of fascinating information, presented in a lighthearted and interesting way. 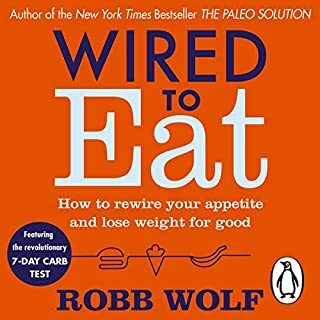 I thoroughly enjoyed it, and will keep referring back to it every few months on my Keto journey. this book waffled on too much for my liking, going into scientific data and quoting a tiny number of doctors ad-nauseam. there is some helpful information in there in spits and spats but for me I wanted more practicalities of how to eat keto, not mainly a scientific journey. if you are a marathon runner or love scientific facts from a limited number of reputable sources this is the book for you. I had been keto / hflc for a few weeks and was just getting back into running. I truly believe in the science of this methodology and it is sustainable and rewarding. yes there are sacrifices but no where near as many as you get with the typical low-cost fat standard diet the dietary regulations throw at you. carbs are sugars end of and sugar makes you crave food and turns to fat. good day on the other hand makes you thin and all food cravings diminish. it really does work! Great information that builds perfectly on the Primal Blueprint. It was a great eye opener having already started my keto journey. easy to understand, informative and science based. narrator is conversational. really enjoyed this book and have put it into practise. highly recommend. It took me forever to figure it out but there is a PDF. I downloaded the book on my iPhone and even when I tried to look on the mobile site I couldn't find out where I could download the PDF. So I tried my tablet and went to library on audible.com and found it there! Much easier to do this on a computer, but works on mobile too. Hope this was helpful! Mark Sisson has quickly become one of my favorite health-related thought leaders and authors of such topics. The Keto Reset Diet is a masterful outline that delivers the foundational science of Keto that nutritional buffs are looking for, along with simple, practical applications making it palatable (no pun intended) for lay-readers. 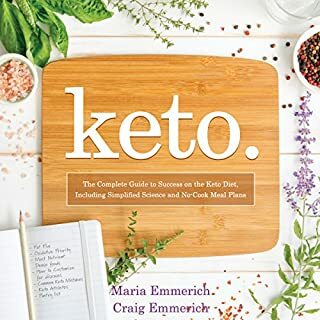 After a number of failed attempts at tackling ketosis, this book has helped me understand and apply the steps for long-terms success on keto - I am now 4 weeks into the Keto-Diet and it has never felt more sustainable! The writing is fun, natural and often humorous - making you forget you’re reading a book about hard-hitting nutritional science. Of course any audiobook wouldn’t earn 5 stars across the board without top-notch narration, and Brad Kearns delivers in spades here too. The inflection and cadence flows as naturally as a conversation with a trusted friend, making it an easy and thoroughly enjoyable listen. Well done! 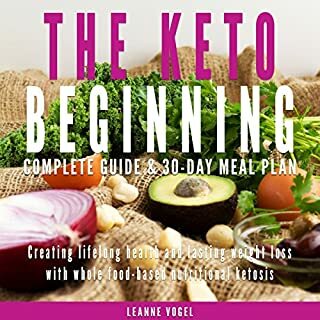 Finally an easy to &amp;amp;quot;digest&amp;amp;quot; Keto Diet Guide!!!! The Keto Reset Diet is hands down the best comprehensive Keto Guide out there! overwhelming the amount of information that available on the web on the Keto Diet... Yet a lot of this information is many times too scientific for any bigger interested to comprehend. This why many that are just peeking into what the Ketogenic lifestyle consists of sometimes get discouraged even before even trying it out. Great for beginners and for the more advanced Keto Masters, it provides a substantial amount of info that will give you and upgraded advantage! Highly recommended! Thanks again Mark! The most comprehensive discussion of Keto I’ve ever come across. It not only walks you through the significant health benefits of Keto it also gives great detail on how to achieve Keto. I will be buying the print book to revisit a lot of the topics as there is such a significant amount of great information. 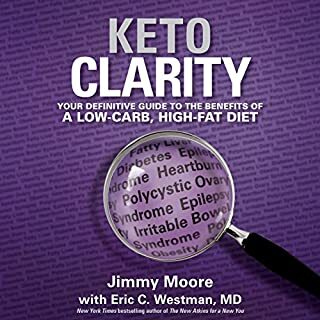 Like another book regarding the Keto Diet, "Keto Clarity" I recently listened to, this book contains excellent information that is well researched and organized with a terrible narration. In order for a book so dense with information to be absorbed by the listener, it's important to enlist a narrator with a fluent voice that is interesting to listen to in order to keep one engaged. Instead we get Brad Kearns. His narration is frustrating in a way that is hard to explain. Brad sounds like a nice enough guy, but his attempt at "coloring" his voice just made it obnoxiously difficult to listen to. He put emphasis in odd places where it didn't make sense. Worst of all is a "chuckle" that he adds often and at inappropriate times that would immediately break my concentration. Dude WTF? Major lost opportunity here. My suggestion is to purchase that hardcover version of this book. It is absolutely worth owning. This audiobook however is a rough listen. I often found my mind drifting while trying to get though it. Where is the PDF Download???? Would you consider the audio edition of The Keto Reset Diet to be better than the print version? Does anyone know where to find the PDF download the book talks about again and again? Frustrating. Good book but if you cannot get all the reference material, makes it pretty useless to get the audio version of the book. THERE IS A PDF FILE!!! What disappointed you about The Keto Reset Diet? 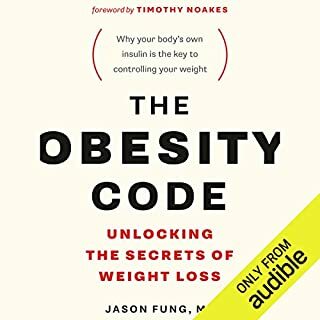 Thanks to Cynthia's review of The obesity code I found this "I keep seeing reviews on Audible stating "it would be nice to have the charts, forms, list, etc. the author keeps referring to". Yes they're included here! 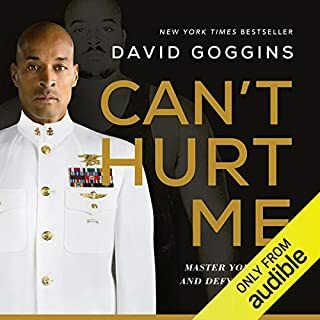 Log into Audible and look at your purchase list, and underneath the books that include a pdf you will find a link to click. You can then download reference material for your book." 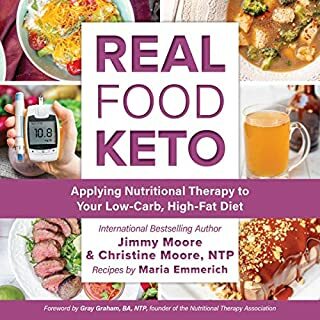 Has The Keto Reset Diet turned you off from other books in this genre? Would you be willing to try another one of Brad Kearns’s performances? 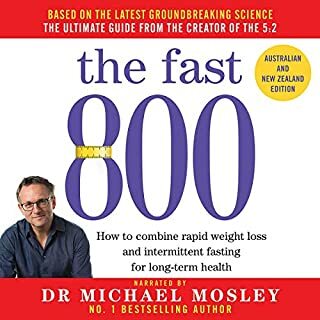 This was a great book and easy to listen to on my evening walks and at the gym - I wish I had the PDF file before I finished the book but I have the PDF now! I gave this a 5 star review for two reasons. 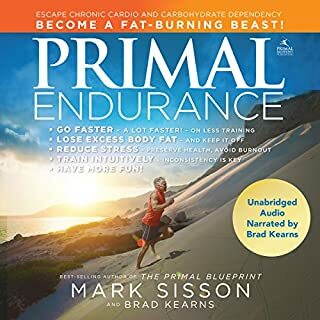 First, Sisson has been a pioneer in the paleo/primal movement for fitness and nutrition, so he deserves credit for that irrespective of the content of this book. Second, keto has been life changing for me and I can't imagine even being able to stay healthy in the future outside of ketosis (at least in my case). That said, I was a bit disappointed with the book. It's certainly worth the read (or listen) but Sisson is a bit late to the party on this one. 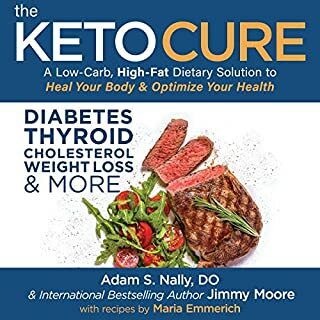 Mercola, Asprey and many others have been publishing and posting on keto for a long time now. Granted, it's important for the keto movement to have prominent figures like Sisson state that he didn't buy into the movement but that eventually as the science started to stack up in favor of it, he tried it and found it to be incredible. That is a good story and important for others to come to know. However, a few things were offsetting for me. The whole quiz approach to determine if one is ready to start keto seemed unwieldy and somewhat paternalistic. 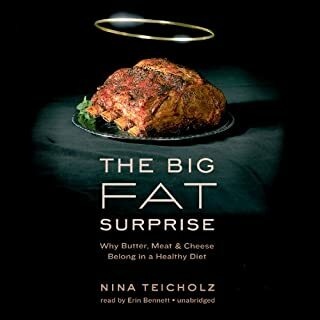 I realize that the book is directed at people that are new to keto, but perhaps that might have been appropriate 5 or 6 years ago when we didn't know as much about it. Second, the book was really just a surface view of keto. 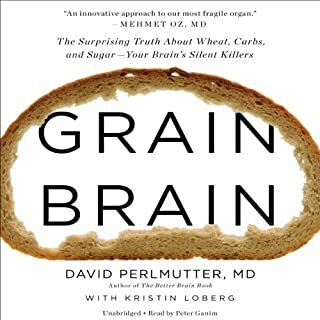 Granted, for its intended audience perhaps that is fine, but other than the discussion on cortisol I didn't really find anything new in this book that hasn't been covered at least as well in other books over the past 5 years. One major upside for me was the author's view that it may be healthful to stay in ketosis longer term or even indefiniately. Mercola, Asprey Mutzel, and many others have taken the view that one must cycle in and out of ketosis. This &quot;movement&quot; started as the TKD or CKD with carb refeeds once or twice per week but has largely transitioned more to a seasonal way of eating (strict ketosis in winter and somewhat higher carb in summer). For those of us who feel great in ketosis year round, it was refreshing to hear something other than the standard &quot;long term ketosis is dangerous&quot;. I think the proper approach should be that if ketosis works for you than stay in it, and if its not working optimally for you then try to cycle out or move to simply low carb. At any rate, I expected a bit more from this book but I still consider it well worth the purchase. Hi. In the past I've never minded that Mark Sisson's books seemed to meander quite a lot, as well as containing vital information. Obvisously that can be more of a problem in an audio book where tables and so on aren't possible, and this audio book does suffer from this and would probalby be best servied in the print edition. I also do have a real problem with Brad Kearns' reading as a decision has been made where he has been allowed (or allowed himself) to regularly improvise the reading, lots of ums and ahs, deciding to add bits and pieces here and there we he comments on the text. Perhaps it's because as the co-author he wants to inject his own personality into the reading but I think it's terribly distracting. I used the audio version in conjunction with the ebook version. There's a lot of science and theory but it all makes sense and it's worth making the effort to take it in. Highly recommended. Lots of filler nonsense and not much actual decent information. far too complicated and monotonous. 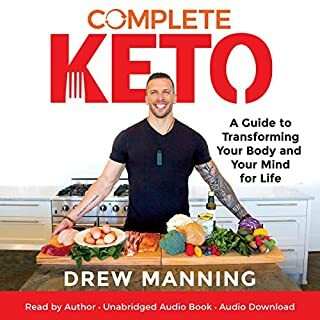 I was excited to listen to this book as keto is really big at the moment. But I found the first 2 chapters to be overly complicated for complicated sake & very monotonous. Have stopped listening and will look for another book. Excellent book, good, useful content. Really valuable book. However the narration got really tedious at times, with the rising and falling intonation at the end of sentences, like stating something very obvious.